The Belle Isle Aquarium is in the running to receive a large grant from the Pepsi Refresh Project to restore the tanks in the aquarium, but they need your help to take home the prize. Currently ranked 16th in the $50K tier group, the Belle Isle Conservancy is calling on the community to help the initiative move up the charts in order to stave off elimination. 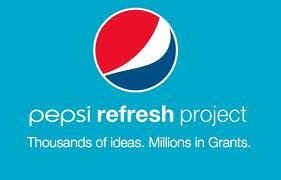 The Pepsi Refresh Project is a nationwide online grant program which makes millions of dollars available for projects that are intended to improve communities. The Belle Isle Aquarium’s proposal is the only Detroit-based project in the 50K tier. In order to win Pepsi’s $50,000 grant, the Belle Isle Aquarium must be one of the top 10 finalists when voting closes on December 31st. In a recent survey the Conservancy conducted of Belle Isle users, re-opening the Aquarium emerged as the most popular project for park improvement. You can vote more than once by both visiting http://www.refresheverything.com/belle-isle-aquarium and by texting 110635 to 73774. 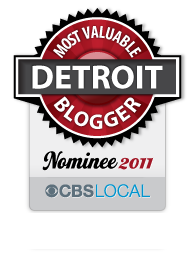 The Belle Isle Conservancy is asking the community to share, register, and vote online and by text, at least once a day, every day during the entire month of December. It was the oldest continuously operated public fresh water aquarium in North America. Although it has been closed since 2005, it is still home to more than 250 Japanese Koi fish. In July 2011, the former Friends of Belle Isle Aquarium won two grants to benefit the Belle Isle Aquarium. A grant awarded by the National Trust for Historic Preservation helped to fund the architectural plans and drawings of the Aquarium roof completed by Merz & Associates. A second grant was awarded by the Michigan State Housing Authority State Historic Preservation Office which, along with matching funds provided by the former Friends of Belle Isle Aquarium, will fund roof and window repairs. Construction will begin in May 2012. This entry was posted in Detroit and tagged belle isle, belle isle aquarium, detroit, pepsi, pepsi refresh. Bookmark the permalink. The Belle Isle Aquarium is a place that connected people of all races, religions and economic backgrounds – an aquarium unites people! Please take the time to go on line and vote for the Aquarium to receive 50k for renovations! It’s super simple to vote by texting 110635 to 73774! Tanks!